SABIGLOBAL develops a new universal, reliable and convenient biometrics that doesn’t require fingerprints, gait analysis, voice recognition, face or eye scan or vein pattern. The system of adaptive biometric identification (SABI) is based on the adaptive response of the human body at the cell level to non-contact electromagnetic scanning. The response on scanning in every living organism is unique, like DNA in cells, and can’t be faked. The human organism, getting into the field of action of the SABI authentication module, automatically forms an adaptive electromagnetic connection with the module. The module, continuously scanning a person, identifies his personality, comparing the current response of the organism with the saved profile. The SABI module is used to access information systems, and it is embedded for access to mobile devices, computers, cars, rooms. – the number of mobile phone users, cold cryptocurrency wallets and computers with biometric sensors is increasing by 20% per year. – scanning is carried out without contact and automatically without special actions of the scanned person. The new SABI biometric identification technology will replace all previous outdated biometric technologies, just like MP3 players have replaced all outdated types of players. The database of the electromagnetic response profile of the human body for authentication can be stored on the SABI module itself, on a telephone, computer or any server. On there was also created SABI-net, a global distributed authentication network based on the blockchain, where the SABI user profile database is stored. Thanks to the blockchain, the database can’t be changed and has no owner, so the authentication becomes even more reliable. SABI-net can be used by suppliers of goods and services to authenticate their customers, and, if it is necessary, authentication can be anonymous. SABI technology is already in the process of patenting. • a unique algorithm was created for tuning and processing the feedback signal in order to get the necessary information from it. 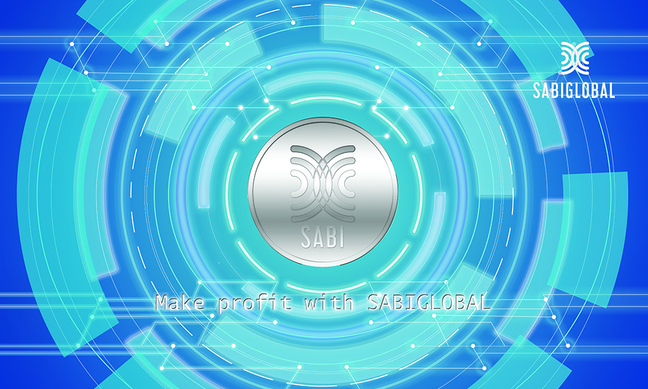 The SABIGLOBAL is proceeding to the final stage of the production of a working model now. This requires resources to attract additional narrow specialists and equipment procurement. With the necessary funding, the working model will be assembled within 3-4 months. For over 10 years, company has been conducting research in the field of biotechnology and creating medical physiotherapeutic and diagnostic devices.